The question of whether consistency or variety is best when treating our complexions is a rather mysterious one. On one hand, our skin's needs can vary based on the time of the month, the weather, and how well-rested we are. On the other hand, many of us have experienced that unique frustration of falling prey to a particularly enticing marketing campaign for a new potion, only to find our mugs rebelling as soon as we ditch our tried-and-true products. So, to separate the hearsay from the truth, we reached out to dermatologist Dr. Jeanine Downie, who walked us through the dos and don'ts of an effective skin-care strategy. Dr. Downie lays down the law from the get-go. There is one element the derm insists we all use daily, no matter what: sunscreen. "Rain or shine, January through December — everyone needs at least an SPF 30, every single day." On your face is a great start, but you'll earn major healthy-skin bonus points if you apply to your neck, décolleté, arms, and hands as well. With the rest of your routine, Dr. Downie says women with relatively normal skin should learn to "listen" to their complexions, as dryness or oiliness can vary. "With your hair, you might use a volumizing shampoo one day and a moisturizing shampoo the next, depending on how dry your hair feels and how it's behaving," explains the derm. 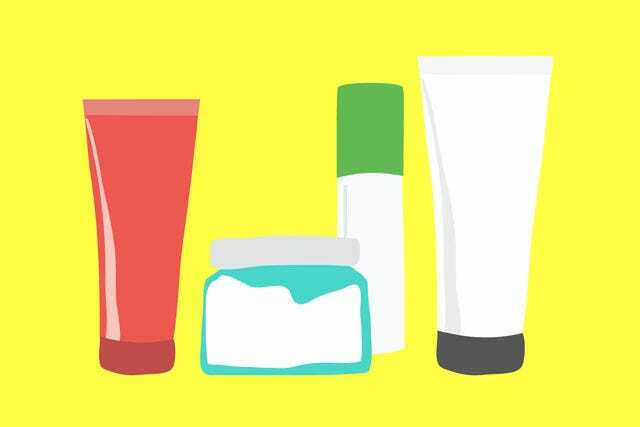 "It's the same thing with your skin — the amount of moisture or exfoliation that you need may vary daily due to a number of factors." Your complexion's needs may also change according to your hormone and stress levels and your environment. "Most people will need to adjust the amount of moisture that they're applying to their skin over the course of the month," says Dr. Downie. "Even if you think you have 'oily' skin, your complexion may vary from very oily to slightly dry over the course of the month, and through the seasons. So, you should adjust the products that you're using as needed." But, explains Dr. Downie, a full skin-care-routine overhaul every few days isn't necessary; adjusting the amount of moisture that you're applying can be as simple as skipping moisturizer and wearing a lightweight sunscreen on days when your skin feels congested or adding a bit of face oil over your regular moisturizer on drier days. The way Dr. Downie sees it is that women tend to fall into two camps: In one are the gals who enjoy a routine so much that they overuse whatever products work for them, without paying attention to the needs of their skin on any particular day. In the other camp are women who eschew routines to the point where they might throw a new product into the mix simply out of boredom. "I had a client who decided to throw a new product into the mix right before her daughter's wedding and then came in to see me when her complexion ended up totally irritated," Dr. Downie laments. If you know your skin is sensitive, warns the derm, it may be best to find a simple, chemical- and fragrance-free routine and stick to it religiously. "If you know from experience that your skin can't tolerate most products, you'll need to learn to resist the siren song of your best friend's new favorite product or the latest formula," says Dr. Downie. "Just because it's a 'miracle worker' for someone else doesn't mean the product will be suited to your skin type." Bottom line: It's smart to adjust your skin-care routine according to your complexion's needs at any given time — but, before introducing a new product, be sure to patch-test it first. Dr. Downie says the best way to patch-test is to use the product on a small area of skin right underneath your jawIine or the inside of the wrist, twice a day for a week. If your skin doesn't rebel, it's safe to say the product could be a welcome addition to your routine — no facial freakouts necessary.